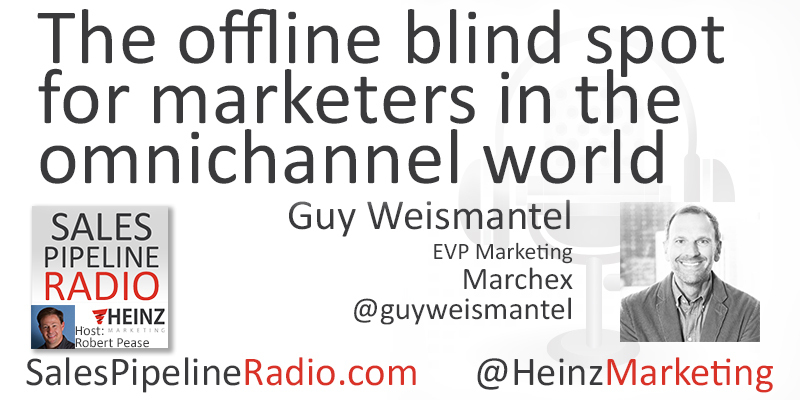 How does the offline blind spot impact businesses’ bottom line? More about Guy: He is currently EVP and CMO of at Marchex, where he helps marketers find their best customers--the ones who call their company. They'e found they convert faster, buy more, and churn less. Marchex helps companies drive more calls, understand what happened on those calls, and converts callers into customers. At Marchex he leads a predictive, data-driven marketing team that is delivering new awareness of our category and company, new pipeline for our enterprise and SMB sales teams, and new products and differentiate us from the competition. He is a marketing leader with 20+ years experience in driving bottom-line results through differentiated branding, product messaging and positioning, and customer engagement. He's had the chance to build businesses from the ground up, as well as work around the world in global organizations. The common thread through all his experiences is the ability to build and lead great marketing teams and achieve outsized results for my company.